The ultimate daily indulgence for damaged and ageing hair – YOUNG.AGAIN a weightless leave-in treatment oil from our ANTI-AGEING regimen. Infused with Immortelle to help counteract oxidation and therefore the ageing process, our intensely nurturing treatment oil delivers deep conditioning benefits that leave hair feeling soft and smooth with an overall boost to shine. Use daily to fight the fight against hair ageing and to provide protection against environmental stressors, and heat damage. APPLY. INFUSE. DRY. 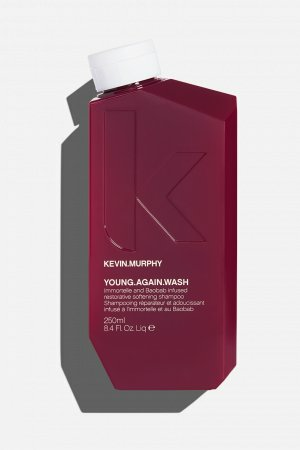 Apply YOUNG.AGAIN to freshly washed hair and before any styling products. Once dried, you can apply a small amount of YOUNG.AGAIN to dry hair to increase the smoothness of the hair and remove any flyaway strands. 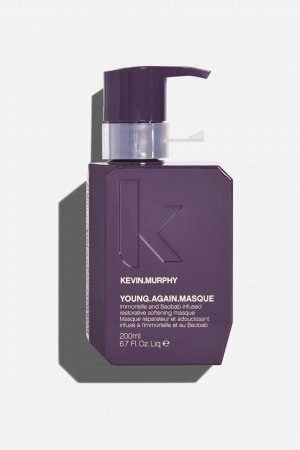 Use as part of our ANTI-AGEING regimen with YOUNG.AGAIN.WASH, RINSE and MASQUE. Rich in oleic acid, Safflower Seed Oil has a known lubricant effect on the hair and imparts softness and shine. Antioxidant rich, Citrus Limonium (Lemon Oil) is known to help refresh and restore with its uplifting fragrance. The natural fruit acids in the oil also enhance shine and lustre in the hair and help exfoliate the scalp.